There are so many photo services that create personalized calendars for you, but how do you choose the right one? Whether you’re a photographer trying to showcase your artwork, or a busy mom who needs last minute gift ideas, we’ve got the picks for you. User Interface: Most people aren’t graphic designers and a good user interface that makes it dead simple to create a beautiful calendar is a must. Paper Choices: We only looked at services that had high quality paper to begin with, but it’s also nice to have an option to upgrade to even thicker or glossier stock. Direct Mailing: Not all calendar companies offer the feature, but if you’re sending a lot of calendars the ability to mail each calendar directly to the recipient is a huge time (and money) saver. Bulk Discounts: If you’re sending one calendar to Grandma this doesn’t matter, but if you’re sending a family reunion calendar to, well, the whole family, bulk discounts help a lot. If you want easy and good-looking solutions for this holiday season, read on to find the service that’s right for you. A small note before you dive in: these services are almost always offering discounts of some sort (especially around the holidays). Be sure to check the site for coupon codes and sign up for their promotional emails so you can take advantage of the near continuous sales they run. 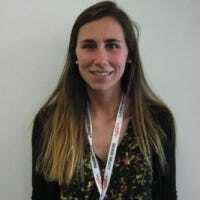 Shutterfly is a well-known printing service that deals with a variety of items—calendars included. Compared to its competitors, Shutterfly gives you the best bang for your buck. 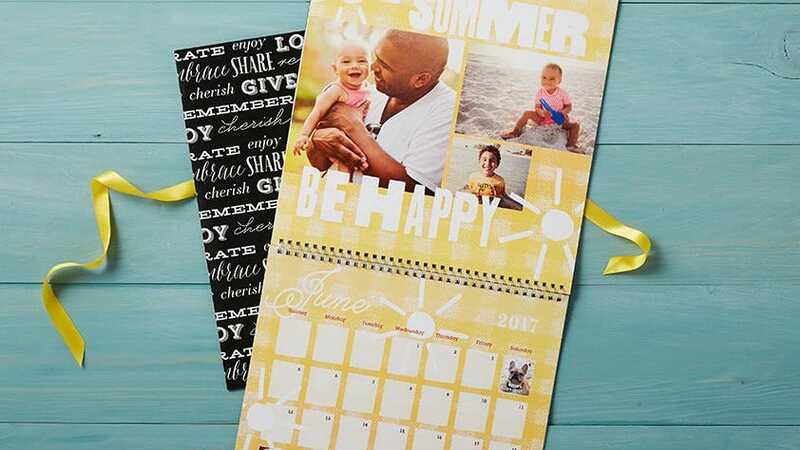 It has a wide variety of design tools, and a standard 8×11 inch calendar is anywhere from $18 to $30 (depending on the options you choose and the current deals)—Shutterfly always has sales of some sort, so you should never pay full price. 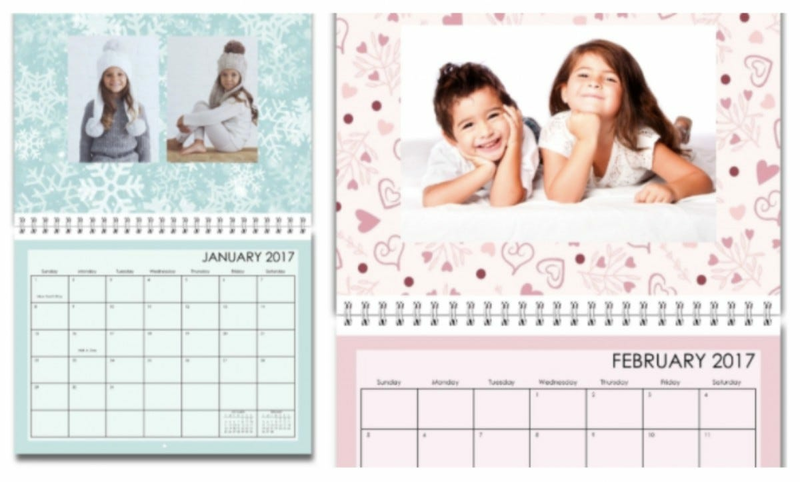 You can even order calendars with bulk discounts under Shutterfly’s prepaid plans (using the plan you can, for example, bring the cost of 8×11 calendars down to $15 with only 5 calendars). Feature-for-feature, Shutterfly is our best value pick for people who want the maximum ease of use, easy direct-to-recipient mailing, and sharp looking calendars. 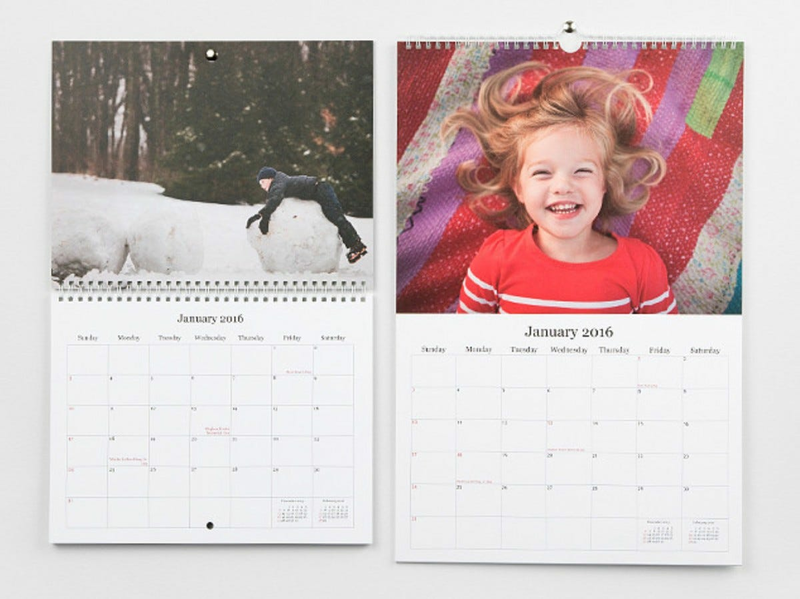 Shutterfly saves your uploaded photos so that there’s no rush to finish your calendar in one sitting (and it allows you to incorporate these pictures into future projects as well). Competitors like Mpix will delete your library within 60 days if an order isn’t placed, whereas Shutterfly holds your project photos indefinitely. If photo editing isn’t your forte this is definitely the service or you. Shutterfly has a feature called VividPics, which automatically does an analysis and enhancement of your pictures (but for those that edit their own photos, it’s easy to turn it off). Not only does this service help you create quick and beautiful pictures, Shutterfly allows you to place pictures and text anywhere you want on the calendar. You can choose from a variety of layouts and can even personalize your dates with text, pictures, and stickers. For and even more convenient experience, you can use the storyboard option. This allows you to drag your pictures to the Storyboard tab, which automatically arranges your pictures for you on the page. 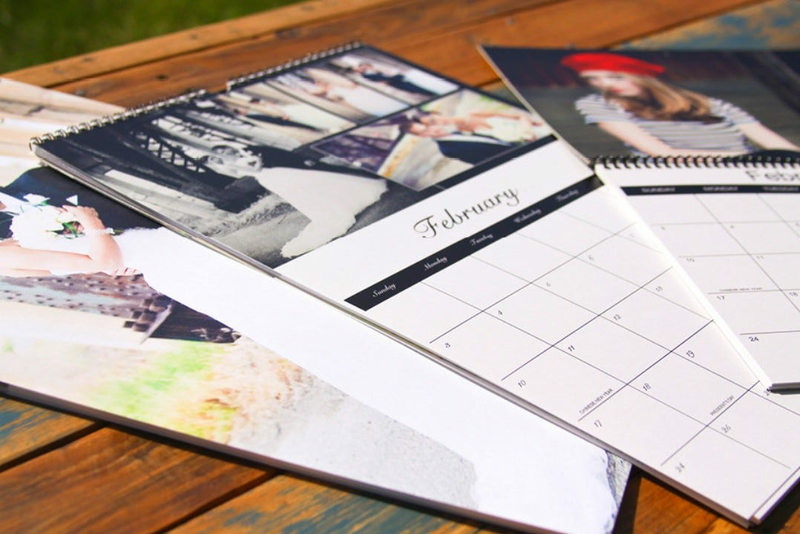 Not only is Shutterfly a good value in terms of printing cost and a great user interface, it also supports direct mailing—you can ship calendars directly to your friends, no repacking and remailing required. You can check out Shutterfly’s calendar selection here. If you’re looking for a service that offers incredibly high quality paper that has a nice heft in your hand and will age well (you might not save a photo calendar forever but we know plenty of doting grandmothers who would), Mpix is the service for you. Mpix offers two different sizes (8.5×11 inch with middle binding and 12×18 inch with top binding) both of which start at $20. While one calendar costs $20 bulk pricing is available: 2 to 10 calendars cost $19, and 11 to 50 calendars cost $17.30. Thick and beautiful paper is where Mpix shines. If you want a calendar that feels and looks like a premium wedding invitation with creamy paper and pigments, this should be your pick. The paper quality is where Mpix really stands out, so let’s break down your options. The most popular paper, “Signature”, is an acid-free 130 pound archival paper with a soft finish. If you want to show off photos with a bit of shimmer, go with the “Pearl” photo paper. Its also acid-free and 130 pound paper but is printed with organic pigments and infused with minerals to give your photos beautiful shine. Regardless of the paper option you pick, you’ll likely be quite pleased; customers rave about how thick the paper is compared to the lightweight calendars you get at one-hour photo type places. An easy calendar creator and one day shipping means you can craft your calendar and have it wrapped and ready in no time. You can upload photos directly from your computer and even from Facebook or Instagram. The Mpix calendar creation tool makes it very easy to add custom dates as well as images (so you can mark a birthday, for example, with a person’s name or photo). In addition, Mpix offers free color correction so you don’t need to mess around with white balance correction or the like. You check check out the Mpix calendar options here. Amazon Prints is overwhelmingly cheaper than competitors, even Snapfish (which, ironically, is the service that fulfills your Amazon Prints orders). A standard 8.5×11 inch spiral-bound calendar is $14.99 while an 11.5 x 14 inch spiral-bound calendar is $24.99. Amazon Prints is convenient mostly for Amazon Prime members, especially those that use Amazon Photos to manage their photo collections. If you don’t have a Prime account you’ll need to either get Prime or purchase an Amazon Drive account to store your photos (and at $99 and $60 a year, respectively, this makes Amazon Prints really only a viable option for existing Amazon Prime subscribers). If you’re an Amazon Prime subscriber that already uses Amazon Photos, then using Amazon Prints’ calendar service is a no brainer (and it’s even backed by a well known print company). While there aren’t as many templates or designs as Shutterfly or Mpix, the offered options are still appealing—plus, the quality of the end product is the same quality you’d get from Snapfish at a much lower price. You have the option to customize specific dates, too (and if you reuse the service next year, your custom dates will be preserved). Lastly, the website is super easy to use, and creating your calendar is very straightforward. While there isn’t an option for bulk pricing, the price is low enough anyway that you can order as many custom calendars as you’d like, and individually send them to your family and friends from the website. If you’re an Amazon Photos-user or Amazon Prime member, this service is definitely the way to go. And who can beat free shipping? You can check out the Amazon Prints calendar offerings here. Although you may not have heard of Nations Photo Lab (they don’t advertise quite as heavily as some of their competitors) the service offers incredibly high quality photo printing (a benefit that extends to their calendars too). Nations Photo Lab offers spiral or hand-stitched binding, premium hard covers, and 3 different paper types to choose from (Linen, Pearl, or Semi-Gloss). Depending on the paper, prices range from $18.50 to $23.50. 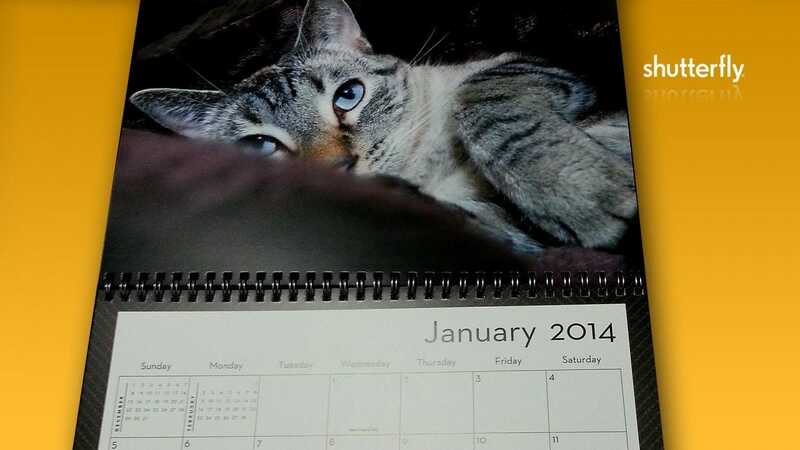 Bulk pricing for 10 or more calendars brings your cost down to $17.25 and $22.25. You can create your calendar using their web-based wizard or download their desktop software for finer control over the creation process. Nations Photo Lab is a lesser known printer but don’t let that put you off the brand: their print quality is top notch and if you value incredibly high quality and their calendar packaging is gift-ready right out of the shipping box. Not only is the quality great and the design experience easy, the packaging that the calendars come in is very professional. Other services might not wrap their calendars as nicely (or at all), but Nations Photo Lab packages all their calendars in gift-grade containers complete with ribbon. While you can’t send directly to your friends or family on the site, orders over $50 have free shipping (no holiday special or coupons required) so ordering even three calendars qualifies you for free delivery. You can check out Nations Photo Lab calendar offerings here. Images courtesy of Shutterfly, Mpix, Amazon Prints, and Nations Photo Lab.